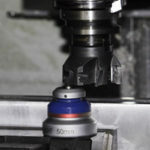 We sell various products that facilitate easier, quicker, and more precise use of machining equipment. Our selection also includes components removed from old machinery during modernization projects. Our selection includes, for example, Heidenhain controls, servo drives and motors, and measuring system components. Where possible, we aim to stock products that are no longer manufactured or which availability is otherwise poor or restricted. 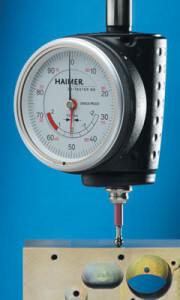 The high-quality German Haimer dial gauge is easy to mount on the tool holder. It is an excellent tool in zero point configuration, locating the middlepoint of holes, and axle centralization. It is excellently suited to configuring reference planes of workpieces and measuring the levelness and straightness of planes. • the dial gauge is easy and quick to install. Dial gauges are available as NG and Universal models. 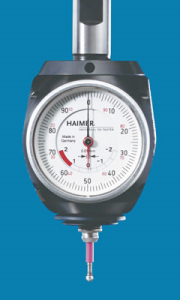 • 80.360.00FHN Universal model, Ø20mm with a Weldon holder. • 80.360.00NG ”New Generation” model, Ø12mm with a clamping shank. Easy and quick way to measure the length of the tool. The detector indicates the exact moment of contact with a led signal. Precision +-0.005mm. Commencement is easy: just install the batteries and the detector is ready for use. No cabling is needed. Is suited to use with all controls. 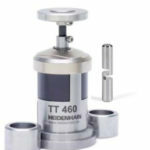 Our selection includes touch detectors manufactured by Heidenhain and Renishaw. 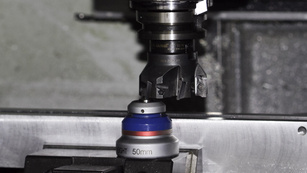 Touch detectors have been developed to allow for easier measuring of milling machine workpieces. 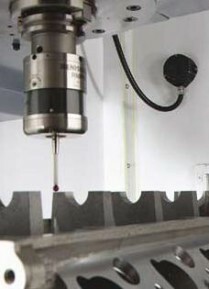 Touch detectors allow for the easy measuring of finished pieces and quick locating of zero points of workpieces. 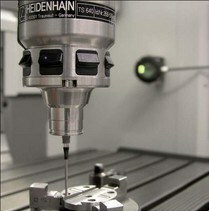 Depending on the type of the control, the results provided by the detector can be used directly to tilt the machining plane, for example, which shortens the setting times significantly. Touch detectors can also be used on automatic programme runs, which allows for determining the middlepoint of holes directly from the piece without separate measurements. In addition to touch detectors, we offer installation service and provide the required training for its use. We also sell replacement tips to detectors by both manufacturers. Heidenhain TS 640 touch detector Heidenhain 3D touch detectors are designed for use in machining equipment, in particular in milling machines and machining centres. 3D touch detectors facilitate savings in machine workshops and in average level production: NC control can automatically run settings and measurement and control cycles. 3D touch detectors of the TS series detect the touching of the measuring tip on the surface of the workpiece. The touch detector send a signal to the control either via a (TS 220 ans TS 230) or wirelessly by means of infrared light (TS 640 and TS 440). Control saves the positions of the axle positioning detectors for later use. We also sell batteries for the TS 640 detector. The unit price is €28 (VAT 0%). S460 is new generation touch probe with compact dimensions. It can be connected to cnc-control with infrared or radio signals. Touch probe sensor is optical and practically wear free, so its good solution for in-process applications. 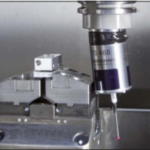 Touch probe has intergraded blowing system to keep measured part clean at time of measurement. There is possibility to add optional collision protector between touch probe and tapper shank. This protector gives the probe possibility to dodge a bit. Internal sensor detects collision and disables movement of axles. After slight collision you are ready to use your probe when you do recalibration cycle. Collision protector works also as thermal decoupler so warm spindle won’t affect to probing. Good working partner for new generation touch probe is new generation tool touch probe TT460 which can share same receiver as TS460. TT460 shares also same sensor technology so sensor keeps its repeatability even after millions of probing cycles. TT probes also has mechanical collision protection device, ‘fuse’, which breakdown after collision. After change of fuse and run of recalibration cycle your probe is ready for use. Renishaw RMP60 We also sell Renishaw touch detectors. The RMP 60 touch detector functions wirelessly using 2.4GHz radio frequency. Because no direct visual connection to the receiver is required, measurements can be made inside the pieces, which is not possible when using infrared detectors. RMP 60 can be connected to all Heidenhain controls just like the Heidenhain touch detector. RMP 60 touch detector can also be used with controls other than Heidenhain. Check compatibility separately.